I’ve always loved old movies. From “Casablanca” and “Sunset Boulevard,” to “Vertigo” and “Bonnie and Clyde,” these flicks were more than just amazing stories. They were glimpses into the past, especially past styles. And while I admired the costumes, I really drooled over the hairstyles. Bouffants, finger waves, beehives — these retro hairstyles made me wish I was born during another era. Don’t get me wrong, I’m not complaining about the tousled wave (which seems to be this era’s most prominent hairstyle), but a little Hollywood glam every now and then would be nice. 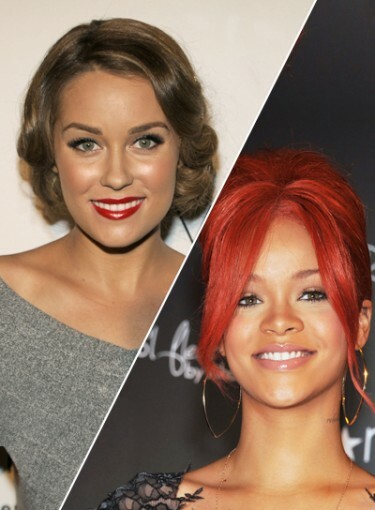 Click here to see the celebrity retro hairstyles gallery. That’s why I get so excited when I see celebrities try vintage hairstyles. Well, the celebrities that actually get the look right, ’cause there are plenty that get it wrong (looking at you Christina Aguilera). So I gathered up my fave celeb retro looks — stars not afraid to channel their inner Veronica Lake or Mae West. Even better? I got you the how-tos. This means the next time you’re in the mood for a different hair era, you can try one of these time-honored styles.